Tunbridge VT – On 04/23/19, the Tunbridge Fire Department and Vermont State Police responded to the above address for a reported house fire. This fore was reported by someone seeing a large glow in the sky and placing a 911 call. The FD was alerted and responded to the area and were unable to find the fire for approximately 45 minutes. The home was behind a locked gate and a very long driveway which secluded the home from the roadway. Once the FD was able to get to the home it was found totally engulfed in flames along with a nearby garage. Also found were three out buildings that had been apparently burglarized as they had been forced open. South Royalton FD was also asked to assist at the scene. Troopers from the Royalton Barracks responded immediately to secure the scene as the Fire Chief had contacted the Vermont Department of Public Safety Fire and Explosions Unit and requested assistance with determining the origin and cause of this fire. The members of the Fire and Explosions Unit responded to the scene in the morning at approximately 0700 hrs to initiate an Origin/Cause investigation. The house and garage are considered to be a total loss and estimated value of $250,000.00. Based on the investigation this fire is considered suspicious. This fire is classified as UNDETERMINED at this time. Several leads are being followed up on at this time. Anyone who may have seen individuals walking or on ATVS in this area asked to call in with any info. This entry was posted in Uncategorized on April 24, 2019 by GrowingInArt. 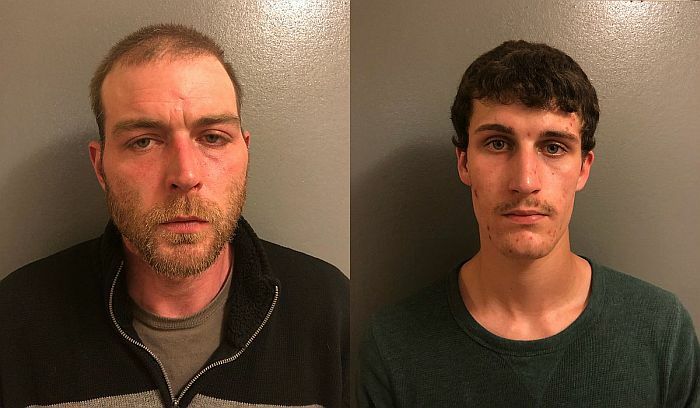 Westminster VT – On 4/23/19, at approximately 1345 hours, Troopers with the Westminster Barracks were actively investigating a burglary in progress that occurred on Back Street in Newfane, VT. While on scene, Troopers were approached by a vehicle with several occupants. During the course of the conversation, drug paraphernalia was observed in the vehicle and consent to search it was obtained. During the search, Sean Campbell, 34, of Brattleboro VT was found to be in possession of a misdemeanor amount of prescription medications and a stolen camera. Tyler Haines, 20, of Claremont NH was found to be in possession of a misdemeanor amount of heroin. Campbell was charged with Possession of Narcotic/Stimulant/Depressant, Possession of Stolen Property (camera) and Haines was charged with Possession of Heroin. Both men will appear in Windham Criminal Court on June 18th to answer the charges. 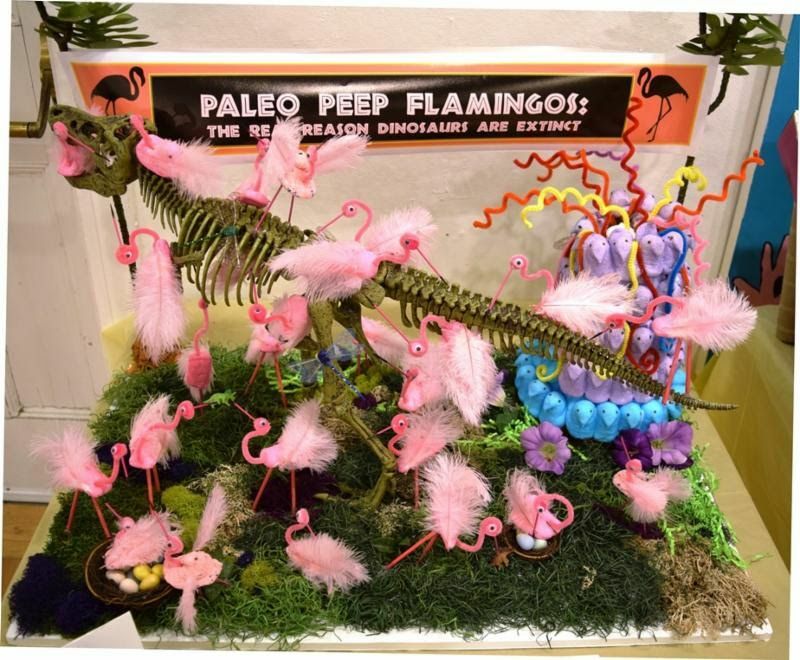 Announcing the Winners of the 2019 PEEPS Diorama Contest! This entry was posted in Uncategorized on April 23, 2019 by GrowingInArt. New London NH – Colby-Sawyer will celebrate its 181st Commencement on Saturday, May 11, graduating approximately 180 undergraduate students and recognizing them and other individuals for academic excellence, outstanding contributions to society, and service to the college and community. The ceremony will begin at 10:30 a.m. on the college’s Quad. Colby-Sawyer will recognize these members of the college and greater community for outstanding contributions to the life of Colby-Sawyer and its students. In recognition of her humanitarian character, superior intellect and a career that has brought about positive, far-reaching consequences for individuals and organizations, Colby-Sawyer will award scientist and researcher Dr. Nancy Ryan Gray with an honorary doctor of humane letters. As Scientific Fellow at the Institute for Atomic and Molecular Physics in Amsterdam, an industrial research chemist at Exxon Production Research Company in Houston, Texas, and now President and CEO of the Gordon Research Conferences (GRC), Dr. Grey is committed to supporting the next generation of scientists during the most critical time in their careers. Through summer programs at Colby-Sawyer, GRC hosts hundreds of scientists annually and provides these cutting-edge researchers with opportunities to network with others in their field, discuss the most recent advances and stimulate new directions for research. Her mission of sharing knowledge and advancing research exemplifies the mission of Colby-Sawyer. Dr. Gray holds an undergraduate degree in chemistry from the University of Notre Dame and a Ph.D. in fuel chemistry from The Pennsylvania State University. Dr. Susan A Reeves ’88, chief nursing executive and executive vice president for Research and Education with Dartmouth-Hitchcock Health System, will receive the Susan Colgate Cleveland Medal for Distinguished Service, the college’s highest award. Since 2003, Dr. Reeves has worked to build programs that would distinguish her alma mater’s healthcare majors and strengthen its partnership with Dartmouth-Hitchcock Health. As inaugural dean of Colby-Sawyer’s School of Nursing and Health Professions and associate academic dean for D-H Partnerships, she developed the college’s public health program and an online R.N. to B.S. in nursing program, and launched its first graduate program, a master of science in nursing. Dr. Reeves received her diploma in nursing from Mary Hitchcock Memorial Hospital. She holds a B.S. in nursing from Colby-Sawyer, an M.S. in nursing administration from the University of New Hampshire and an Ed.D. from the University of Vermont. She is a resident of New London, N.H. Associate Professor of Natural and Environmental Sciences Dr. Christine Konicki Bieszczad will receive the Jack Jensen Award for Excellence in Teaching, the college’s highest teaching award. Since 2007, Dr. Bieszczad has been sharing her multidimensional approach to teaching and her passion for natural sciences with the Colby-Sawyer community. As is tradition, the award winner will deliver the 181st Commencement Address. Dr. Bieszczad holds a B.S. in biology from Saint Joseph’s College in Connecticut and a Ph.D. in pharmacology and toxicology from Geisel School of Medicine at Dartmouth. She lives with her husband and three children in Grantham. William Hyland, a sport management major from Searsmont, Maine, has been selected by his classmates as the Senior Commencement Speaker. In addition, Hyland has been selected by faculty to receive the Colby-Sawyer Award as the senior who best exemplifies the college’s ideals of personal dignity, intellectual growth and contributions to campus life. A Wesson Honors Program scholar, Hyland has served as his class president for three years and as an Orientation Leader, and he has been a member of the Presidential Blue Key Society, Navigators Christian Fellowship, and the Exercise and Sport Sciences Club. The David H. Winton Baccalaureate Award, which recognizes the graduating student with the highest cumulative grade point average, will be announced at Commencement. To learn more about the award winners, visit colby-sawyer.edu/commencement/awards. 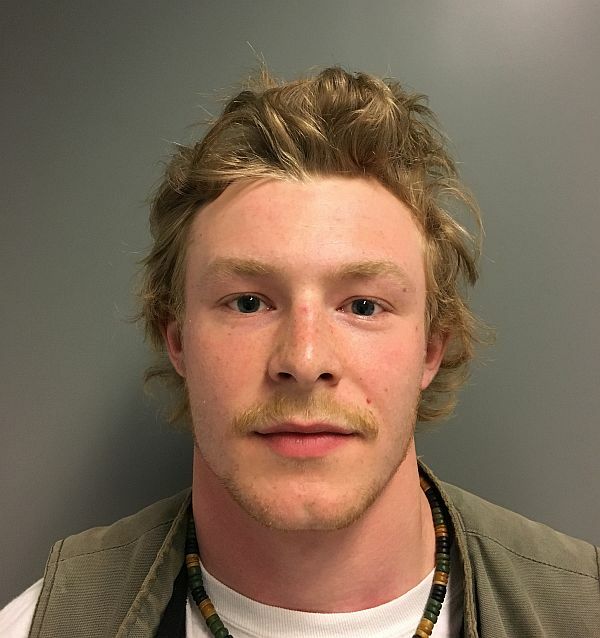 Windsor VT -On 4/19/19 Trevor Worrall 19, of Windsor VT was issued a criminal citation and charged with two counts of sexual assault. Worrall’s arrest followed a lengthy investigationinto allegations that in March of 2019 he was involved in a sexual relationshipwith an underage female. Worrall will be arraigned in Windsor County SuperiorCourt, Criminal Division on 4/22/19 and answer to the above charges. This entry was posted in Uncategorized on April 21, 2019 by GrowingInArt. This entry was posted in Uncategorized on April 20, 2019 by GrowingInArt. 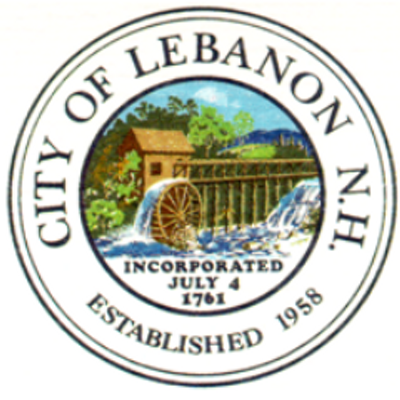 Lebanon Solid Waste Facility will Discontinue the Acceptance of C&D Waste. This entry was posted in Uncategorized on April 17, 2019 by GrowingInArt. Tunbridge VT – On 04/14/19, the Tunbridge Fire Department and Vermont State Police responded to the above address for a reported vehicle fire, in which the vehicle was in the middle of the roadway burning. The fire was quickly extinguished. Troopers from the Royalton Barracks contacted the Vermont Department of Public Safety Fire and Explosions Unit and requested assistance with determining the origin and cause of this fire. The vehicle was taken and secured. 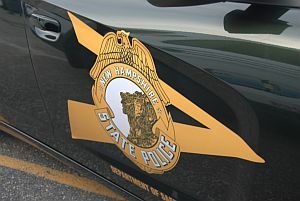 A detective from the Vermont State Police responded to the scene in the afternoon hours of 04-17-19 to initiate an Origin/Cause investigation. Investigation showed that this fire originated inside the front passengers compartment of the vehicle. Investigation showed that this vehicle had been stripped of usable parts and brought to the scene either by towing or flat bed. The vehicle was found not to have been able to be driven to the scene under its own power. 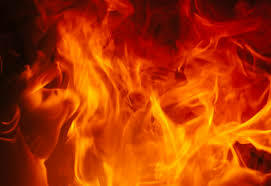 This fire is considered suspicious at this time. 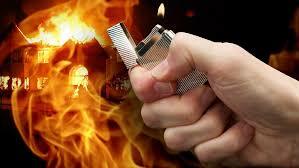 This fire is classified as incendiary/arson. The sign suffered moderate fire damage during this fire and is a total loss. It is unknown at this time who the owner is. Several leads are being followed up on at this time. Anyone with any further information on the fire or how the vehicle was transported to the fire scene is asked to contact Det. Sgt. Tom Williams at the Rutland Barracks or call the Arson Tip Award Line at 1-800- ARSON. If information is provided that leads to an arrest, up to $5000.00 could be awarded. Canaan NH – Tuesday night April 16, 2019 at approximately 8:16 PM the Canaan Police Department, Fire Department and Canaan Ambulance were dispatched to Canaan Street Lake in the area of Moss Flower Lane for a report of two people who had fallen through the ice. Upon arrival, emergency responders learned that a dog had wondered about 75 feet out onto the thin ice and fell through. The owner, a 67-year-old male attempted to go out and rescue the dog and ultimately fell through the ice as well. At that point his 61-year-old wife attempted to rescue both of them in a canoe before becoming trapped in the ice herself. A neighbor heard screaming and called 911. Members of the Canaan Emergency Services deployed a rescue sled and personnel in cold water survival suits at the scene. The emergency responders ultimately rescued both the male subject and the dog whom had been in the water for approximately 45 minutes. After rescuing the male and the dog, they then shifted their efforts to the female in the canoe. She was then rescued and brought back to shore uninjured. The male subject was transported to the hospital and treated for hypothermia. The dog was taken to a SAVES, a 24-hour emergency vet services in Lebanon where it is expected to make a full recovery. The Canaan Fire Department and Canaan Ambulance were assisted by the Enfield Fire Department and a water rescue team comprised of the Lebanon Fire Department, Hanover Fire Department and the Hartford, Vermont Fire Department. 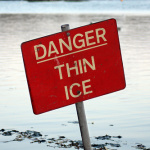 Emergency responders want to remind everyone that ice is very thin in spots and can be very deceptive. Concord, NH – The New Hampshire Department of Health and Human Services’ (DHHS) Division of Public Health Services (DPHS) has announced that there has been a significant increase in the number of people in New Hampshire diagnosed with hepatitis A. 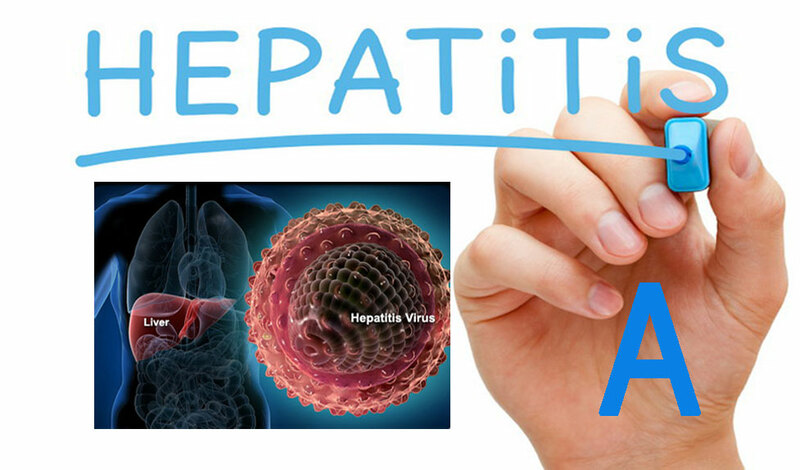 The rate at which cases are being reported are concerning; 33 hepatitis A diagnoses were made in March alone. Since November 2018, 79 people have been diagnosed with hepatitis A, compared to an average of 6 – 7 people annually in recent years. The hepatitis A cases diagnosed since November have occurred in the counties of Hillsborough (36), Strafford (17), Rockingham (10), Merrimack (10), Cheshire (2), Grafton (2), Sullivan (1) and Carroll (1) Counties. One person from Merrimack County has died.